Good. 0070535760 Meets the good condition guidelines. Has wear. Five star seller-Buy with confidence! Acceptable. Acceptable condition. No dust jacket. Writing inside. UsedGood. Hardcover; fading and shelf wear to exterior; otherwise contents in good co ndition with clean text, firm binding. Includes bibliographies. Very good. McGraw-Hill Book Co., New York, NY, 1973. 6th Printing, VG+, Hard Cover, Size=6.5"x9.5", Ink owner name/date inside front cover, owner name embossment on Title Page, o.w. clean, bright and tight. No tears, chips, unde rlines. 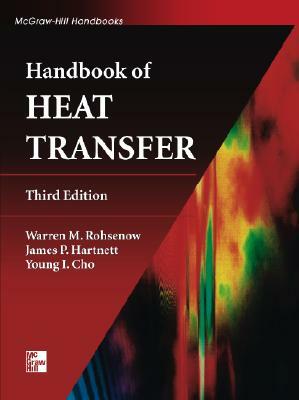 ISBN 0070535760 [Heat Transfer; Handbooks; Engineering Books] SELLING WORLDWIDE SINCE 1987. WE ALWAYS PACK WITH GREAT CARE! Hardback w/o dust jacket, black cloth, small tear in spine, previous owner inscription front endpaper, paginated by chapter, text is clean & unmarked, very good condition. Good in Poor jacket. 0070535760 tight hardcover dust jacket taped interior clean. Near Fine. HARDBACK BOOK IN NEAR FINE CONDITION, DUST JACKET IS GOOD TO VERY GOOD, LONG TEAR ON FRONT PANEL, IN CLEAR MYLAR PROTECYIVE SLEEVE.